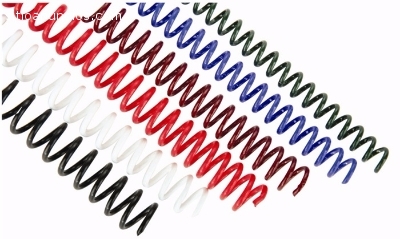 Bindaply Plastic Coils are manufactured to hold their shape and bounce back when compressed. Our premium grade filament inserts faster and smoother for a more efficient binding process. We stock 4:1 pitch black, white and clear Bindaply Plastic Coils in sizes from 6mm to 50mm. Custom colours, diameters, lengths, and pitches (5:1, 3:1, 2:1, & 6mm) are available upon request.